At 8 a.m. on Dec. 8, 1941, Japanese forces started the Invasion of Hong Kong with their air force bombing warships in Victoria Harbour, the planes at Kai Tak Airport and selected military installations all over the colony. This was only hours after the Japanese attack on Pearl Harbor. For many years now, I have studied and collected this topic and have put together an exhibit titled, “Detained in Hong Kong and the Ones that got away.” It primarily shows that even though the invasion started on Dec. 8, the handling of mail was blocked or delayed for up to 10 days before the invasion. It also shows what happened to some of the mail during the invasion period. This single-frame exhibit won, on its first showing, the APS Research Award at Orapex 1999. I did not show it again for many years but re-entered it again in 2017, when it won the best single-frame honours at both the Edmonton Spring National Show and the Royal Convention in Boucherville, Que. It then qualified to be entered at the Champion-of-Champions Competition at Ameristamp Expo 2018 in Birmingham. Already stated in the title of the exhibit, “detained covers” are the focus of the exhibit. Another category of mail was where I coined the term “the U-turn covers,” about which I wrote an article published in the China Clipper in 1998. I discovered and reported there were covers that first originated from China and reached Hong Kong just before the Japanese invasion and were trapped there. After the invasion in February 1942, these covers were then sent back to Canton, China, and were not “detained.” The reason for this was Japan was selling the concept to those Asia countries they were conquering or were occupying the idea of the “Greater East Asia Co-prosperity Sphere,” that these Asian countries were not enemies, but friends or partners in this sphere. As such, mail franked with stamps of these countries were treated as “friendly” and were released for delivery, while mail with stamps of Hong Kong and other British colonies were treated as mail from the “enemy” and these were “Detained” in Hong Kong for the rest of the war. It was said that in reality, China, in Japan’s eyes then, was regarded as “too weak” to be a full partner in this sphere. In my exhibit, I have shown four U-turn covers, of which three were addressed to the United States. When a friend asked me to help him write-up a cover he was going to send to auction, I asked him to do me a favour and to sell it to me as I then offered him a large sum for this cover. He agreed to sell it to me. I made the offer as I do not have a U-turn cover which was addressed to Canada. The hallmark of a U-turn cover was the return date to Canton after the cover had reached Hong Kong. The Canton receiver of Feb. 14, 1942, was very clear and on the front of the cover. Even though the cover did not have a Hong Kong receiving circular date stamp, it had three Hong Kong markings. The boxed “Not Opened by Censor”, the boxed “No service” and the boxed “Retour” markings were all applied in Hong Kong. Only after I received the cover and examined under magnification the date of the CDS tying the stamps did it dawn on me the significance of the date: Dec. 8, 1941, was the day of the Japanese Invasion of Hong Kong. The time slot was clear; it was a “10” in Chinese, but the second word was missing, so it can also be “11” or “12” in the morning. A secondary Chungking marking use the old Chinese hours, “zud”, which was the two hours from 9 to 11 a.m. So both markings are consistent that the cover was received, and cancelled, at 11 a.m.
From what literature and references that I have found, no flight had been recorded carrying mail in and out of Hong Kong after the start of invasion that morning on Dec. 8. I asked for help from the past chairman of the Hong Kong Study Circle and Hong Kong philatelic researcher and writer, Richard Whittington, and as I expected, he solved the mystery. Richard came to the conclusion the regular scheduled Rangoon to Chungking and then to Hong Kong China National Aviation Company’s flight was scheduled to have arrived in HK on Dec. 8 in the evening. In fact, it arrived at Kai Tak just after midnight and would have been the only flight that could have possibly carried mail on that day. Up to now, no other cover from that flight has surfaced. So in summary, it was Dec 8, 1941, China to Canada cover, after 78 years that brought this fact to light. Even the fact the cover took another 13 more months, after it was returned to Canton, to reach its destination in March 1943 in B.C., sounded trivial. In closing, I just like to bring out the point that in philately it is always about the people, the friendship and the comradery. It was a friend who sold me the cover and it was a friend who helped me solve the mystery. Friendship in philately at its finest. The Harry Sutherland Philatelic Library at the Vincent Graves Philatelic Research Foundation extends an invitation to all attendees of ROYAL *2019* ROYALE to spend a day with us! So while attending the popular Royal *2019* Royale, take time to spend a day with us! Book a day ahead of or following the convention and use the GO bus, with the stop conveniently located directly across the street from the hotel, to travel in to Toronto. From its terminus at either the Union or York Mills subway station, we’re just a few stops away at Summerhill. Contact library@greenefoundation.ca for more info. We are looking forward to your visit!!! Hello everyone. Now that the weather is improving I hope you will have time to get to your local club meeting or a stamp show. I have enjoyed shows in Toronto, Edmonton and Vancouver in the last few weeks . It is always enjoyable to see friends and the materials brought by the dealers who patronize these events. The Bramalea Stamp Club, West Toronto Stamp Club and Canadian Stamp News are pleased to host The Royal Philatelic Society of Canada Royal *2019* Royale June 21-23, 2019 at the Hilton Mississauga, located at 6750 Mississauga Road in Mississsauga, Ontario. This year’s Royal has two special themes — this marks the 60th Anniversary of the Canadian Philatelic Association receiving its ROYAL designation from Her Majesty Queen Elizabeth II. The second theme, ‘It’s Your Royal,’ pays tribute to all members and the important role each one plays in enhancing our hobby for collectors of all ages and levels. The three-day national exhibition and show is expected to draw more than 200 exhibition frames plus more than 25 professional dealers from Canada, the U.S. and Great Britain. Entry forms for the exhibiting must be received by May 1, 2019. The three organizations have established a volunteer organizing committee with Joe Trauzzi, of the Bramalea Stamp Club, as chairman. Joe’s spouse, Wendi Trauzzi, is co-ordinating all of the special events including a special bus trip to the iconic Village of St. Jacobs and the popular St. Jacobs Farmers Market. Mike Walsh, of CSN, is overseeing the bourse and marketing while Rodney Paige is the exhibits chair and Bob Thorne is organizing the mammoth task of setting up the frames. Garfield Portch, of the West Toronto Stamp Club, is in charge of show program while Lawrence Pinkney, also of West Toronto Stamp Club, is treasurer. Jesse Robitaille, of CSN, is assisting with social media. Stuart Keeley is serving as The RPSC’s representative. Anyone wishing to volunteer in any capacity can email Chair Joe Trauzzi at jtrauzzi@yahoo.ca. The RPSC is making efforts to joint venture with various philatelic organizations to better serve RPSC members, to promote other philatelic organizations and to expand the RPSC membership base. These organizations include the Vincent Greene Foundation, the American Philatelic Society and the Philatelic Specialist Society of Canada. I will highlight joint efforts from time to time in The Canadian Philatelist and in the RPSC Newsletter. I will also mention the efforts of other philatelic organizations as we must all try to cooperate and work together to keep the hobby strong. Some of us judge at exhibitions in the United States and abroad and try to promote Canadian based philately and its organizations to the many people we meet. Lending policy: The HSPL does not provide an interlibrary loan service. Some material is available for circulation within Canada to members of philatelic groups. Arrangements for photocopying or scanning of items might be possible. Hours: Monday through Thursday, and one Saturday a month. The fourth Wednesday of the month 10 a.m. to 7 p.m. I have always found the library staff so very helpful and the philatelic collection to be the best in Canada. New Volunteer Recognition Programme — Keep the nominations coming! In each edition of the RPSC newsletter , I mention the Volunteer Recognition Program. It is intended to recognize those individuals who have made a significant contribution to philately as a member of the RPSC or a member of an RPSC Chapter or Affiliate. We have finally started to receive nominations from you our members and our affiliates!!! Keep them coming! We expect to announce the names of the nominees to date shortly. Our most recent meeting of the Board was held on April 7, 2019 by teleconference . The Board and other dedicated volunteers discussed a variety of topics, including various aspects of the strategic plan. Once approved, minutes of Board meetings are posted on the RPSC website. http://www.rpsc.org. The next Board meeting is expected to be in May 2019. Do you wish to share your knowledge of philately with others? Please consider taking your time to write an informative and scholarly piece for the RPSC’s flagship publication, the Canadian Philatelist , also known as TCP. Please contact our new editor , Robin Harris, or a member of our talented editorial board: Gray Scrimgeour, Richard Gratton , Rob Timberg and Francois Brisse. Those wishing to submit articles for publication are encouraged to contact Robin at editor@rpsc.org. If you wish to write a piece on stamp collecting for the RPSC Newsletter, please contact me at the email address below or Mike Walsh – mwalsh@vaxxine.com . We are also interested in printing articles that have already appeared in the newsletters of local clubs. Please share your knowledge with your fellow collectors. In each edition of the newsletter, you will likely see articles from local chapters/ clubs discussing their activities. I will continue to urge all local chapters to let the RPSC newsletter help advertise club meetings . The Canadian Philatelist contains listings of chapters every two months. Our newsletter is trying to get more timely information out to our members and to collectors who may be interested in participating in chapter activities. Let the RPSC help you grow your chapters . The RPSC is interested in seeing more collectors attend RPSC chapter meetings. We hope that the newsletter will assist in this regard and will contain details of upcoming chapter meetings, including the names of speakers and locations. Even if members or other collectors cannot attend meetings, they may learn of interesting topics and be able to source presentations from those who volunteered to share information. Please send us details of upcoming meetings, locations, speakers and topics. Send us your chapter newsletters!! We are also interested in printing articles that have already appeared in the newsletters of local clubs. The PHSC Symposium is back for its third great year. If you were there for PHSC Symposium 2017 or 2018, you enjoyed many great postal historical events and camaraderie. One of our main goals in creating the Symposium is to foster new postal history research and to increase collaboration amongst our members. Once again, PHSC Symposium 2019 will give you a chance to interact and learn from experts and each other. The event will span four full days, from Thursday July 18 to Sunday July 21. Centered in Hamilton, Ontario, attendees will visit several different sites of historical interest in Hamilton and the greater Toronto and Niagara areas at which invited members will speak about a variety of postal history topics. There will also be a National-level postal history exhibition as well as a bourse with fifteen or more dealers concentrating on postal history. In every issue, I make the same plea. We all love our hobby and dedicate as much time as we can to it in many ways. I am asking you those of you who are unaffiliated with a local club to join a club and the RPSC . To RPSC members, I appeal for your help in any way you can. Without volunteers your Society and the hobby cannot prosper . Jane Sodero, qui par le passé habitait à Halifax, et qui maintenant réside en Alabama, a en ce début d’année accumulé les récompenses à la Southeastern Stamp Expo à Atlanta, en Géorgie. Sa collection faisait partie des sept participations sur un thème canadien. Cette exposition, organisée du 31 janvier au 2 février par la « Southeast Federation of Stamp Clubs (SEFSC) » (Fédération des clubs philatéliques du Sud-Est), comprenait plus de 140 cadres en compétition. Il y avait « tellement » de collections canadiennes que Sam Chiu, vice-président de la Société royale de philatélie du Canada (SRPC), a rapporté que la British North America Philatelic Society (BNAPS) a décerné cinq prix spéciaux. Juge accrédité à l’échelle internationale, Chiu faisait partie des six membres du jury présidé par Jay Stotts, du Texas. La collection de deux cadres de Sodero, « The Eskimo Hunter » (Le chasseur esquimau), a reçu une médaille de vermeil ainsi que deux prix spéciaux. Cette contribution lui a aussi valu l’un des deux prix d’honneur (or) de l’Association of American Philatelic Exhibitors (Association américaine des exposants philatélistes, AAPE) et le prix du groupe d’étude Elizabethan de la BNAPS. L’une des deux collections d’un cadre de Sodero, « Milford House – Une station rustique depuis plus d’un siècle », a remporté une médaille grand-vermeil et deux prix spéciaux de la BNAPS : le prix de la meilleure collection BNA d’un cadre et le prix de la meilleure collection BNA. Son autre collection d’un cadre, « The Postal Markings of Guysborough, Nova Scotia, 1838-1937 » (Les marques postales de Guysborough, Nouvelle-Écosse, 1838-1937), lui a valu une médaille de vermeil. Sodero, qui maintenant habite à Dothan en Alabama, est un juge de niveau national de la SRPC. Elle collectionne depuis son enfance, et suit les traces de sa mère, Elizabeth, qui est également une exposante respectée et spécialisée en histoire postale du Canada. John Burnett, dont la collection intitulée « Canada – Usages of the Stamps of 1937-1942 Domestically and to the USA » (Canada – Usages des timbres de 1937-1942 pour le Canada et les États-Unis) a remporté une médaille grand-vermeil. Burnett, originaire de Vancouver mais qui habite à Madison, en Alabama, a également remporté le prix de la meilleure collection BNA, catégorie 2 à 4 cadres, de la BNAPS et le prix de la meilleure recherche d’une collection BNA. Collectionneur depuis 1945, Burnett s’est spécialisé dans les timbres et l’histoire postale du Canada et de l’Amérique du Nord britannique. Il a écrit plus de 30 articles pour BNA Topics, la revue trimestrielle de la BNAPS ; pour Maple Leaves, le journal trimestriel de la Société philatélique canadienne de Grande-Bretagne ; et le journal trimestriel de la Société d’histoire postale du Canada (PHSC). En 2011, Burnett a été élu fellow de la BNAPS, il est ainsi entré à l’Ordre du castor. L’année dernière, il a reçu le prix Rowland Hill – un prix récompensant les réalisations de toute une vie, décerné pour la première fois en 2005 pour des contributions exceptionnelles à la philatélie dans le sud-est des États-Unis. Richard Wilson a aussi remporté une médaille de vermeil pour sa collection de cinq cadres intitulée « The Federal Inspection Stamps of Canada » (Les timbres d’inspection fédéraux du Canada). Clarence Stillions a également remporté une médaille d’argent pour sa collection de deux cadres intitulée « Canada’s Embossed Stamps 1974-1981 » (Les timbres canadiens en relief 1974-1981). Enfin, Dennis Amos a remporté une médaille grand argent pour sa collection de cinq cadres intitulée « Usage of the Last Canadian Issue of King George VI : Domestic and USA » (Usage de la dernière émission candu roi George VI: national et américain) . La Société royale de philatélie du Canada (SRPC) et l’American Philatelic Society (APS) ont décidé d’un partenariat qui prendra effet au congrès de la Royale/Royal 2019 en juin. La 91e exposition de la SRPC – qui aura lieu les 21-23 juin à Mississauga – est la première étape d’un projet destiné à culminer avec une exposition quasi-internationale en 2021, à mi-chemin entre l’exposition mondiale qui a eu lieu à New-York il y a trois ans et celle à venir à Boston en 2026. « Ce dont il est question ici est d’établir avec la SRPC ce que je considère une entrée dans la communauté mondiale » selon le Directeur Exécutif de l’APS, Scott English. Celui-ci est en poste depuis presque quatre ans avant l’exposition philatélique à Grand Rapids, Mi en août 2015. « Le partenariat ira bien au-delà des liens que partage déjà l’APS avec des organisations internationales telle que la Royal Philatelic Society London (RPSL) » a ajouté English. Nous avons reconnu les expositions du World Series of Philately (WSP) qui ont lieu en Grande-Bretagne, mais nous ne sommes jamais allés plus loin. Plutôt qu’un simple « échange mutuel avantageux d’expositions » – ce que l’APS partage avec le Canada qui accueille chaque année quelques expositions du WSP – le projet est de favoriser « un partenariat à grande échelle afin de promouvoir le hobby à travers le monde et d’ouvrir grande les portes à tous ceux qui seraient intéressés à se joindre à nous » a-t-il ajouté. Le partenariat débutera en juin avec la première de plusieurs expositions conjointes. L’APS enverra Scott Tiffney, directeur de l’information, au congrès de la Royale/Royal en juin où il sera présent à une table de vente; il dirigera un séminaire sur l’American Philatelic Research Library dont il en est le directeur. Tiffney a aussi fait une présentation au congrès de la British North America Philatelic Society (BNAPS) à Québec l’an dernier. En retour, la SRPC va aussi envoyer des représentants aux principales expositions américaines à partir de cet automne. Du point de vue de la SRPC, ce partenariat cadre parfaitement avec le nouveau plan stratégique présenté l’an dernier au congrès de la Royale/Royal 2019 à St. Catharines ON. La Direction de la société canadienne souhaite « offrir un attrait au sens le plus large » selon le président de la SRPC, Ed Kroft qui ajoute : « nous avons besoin d’augmenter le nombre de membres parce que nous voulons offrir plus de services à plus de gens ». « À cause des liens culturels et géographiques entre les deux pays, les plans de l’APS conviennent parfaitement au Canada » a ajouté Kroft. « Nous allons aux expositions les uns des autres et notre dollar vaut moins que le dollar américain, alors si les Américains veulent venir au Canada, assister à nos expositions, fréquenter nos négociants et offrir du matériel à nos membres, alors ils sont les bienvenus ». Kroft est aussi le président-sortant la Society of Israel Philatelists (SIP) et a travaillé avec les Anglais et l’APS au cours de son mandat à la tête de la SIP, laquelle a été la première société à utiliser le siège social de l’APS à Bellefonte, Pa comme bureau-chef. « Ces partenariats nationaux et internationaux, a-t-il ajouté, sont vitaux pour l’avancement de notre hobby ». « Les organisations philatéliques doivent coopérer afin de soutenir ce passe-temps et d’attirer de nouveaux membre, dit-il, et il ajoute, le profil démographique de la SRPC doit inclure les baby-boomers qui arrivent à leur retraite et la précédente cohorte qui est la Génération X. « Je suis très excité par ce partenariat avec l’APS car celui-ci convient parfaitement à la philosophie de la SRPC de s’associer avec différentes organisations. Un des 100 membres de la Fédération internationale de philatélie (FIP), la SRPC maintient des liens étroits avec de nombreuses organisations canadiennes dont la Vincent Graves Greene Philatelic Research Foundation de Toronto. La SRPC est chanceuse de pouvoir jouir des services de la Fondation Greene. Celle-ci se compare à celle de Bellafonte – c’est vraiment l’équivalent canadien – et nous sommes reconnaissants de cette association » a dit Kroft. « Maintenant, la majorité des collectionneurs de timbres achètent leur matériel en ligne et délaisse la ‘philatélie organisée’ y compris l’appartenance à un club » dit Kroft. Ce sont ces gens que les nouveaux projets de la SRPC espèrent attirer. « Nous essayons de promouvoir le hobby pour toutes les catégories de personnes, et non seulement aux membres individuels, mais à toute une vaste communauté de personnes qui ne sont affiliés à aucune société. » dit Kroft en ajoutant que l’actuel Conseil d’administration de la SRPC reflète bien cette réalité. « Si vous regardez la composition du Conseil, vous constaterez que j’ai introduit des personnes qui sont associées à différentes organisations du monde de la philatélie. Tous ces gens sont reliés sous l’une ou l’autre forme à la ‘philatélie organisée’ dans leur province et nous avons besoin que ces gens se regoupent pour rendre la SRPC attrayante pour tous ». À la suite de la présence de membres de l’APS à la Royale en juin, la SRPC enverra des représentants et des collections au StampShow de l’APS les 1-4 août prochains à Omaha, la plus grande ville du Nebraska. Située à près de 1,100 km à l’ouest de la frontière Canada-États-Unis de Windsor, ON – et même plus près de Thunder Bay et Winnipeg, le 133e congrès de l’APS aura plus de 110 négociants, près de 15,000 pages de collections, un encan publique, une cérémonie d’ouverture; environ 50 sociétés seront présentes. Au StampShow de l’an dernier à Columbus, l’American Topical Association (ATA) était co-hôte de l’événement ce qui sera le cas encore cette année. « Ceci coïncide avec le 150e anniversaire du ‘clou d’or’ (Golden Spike) et le thème choisi de l’ATA sera relié au matériel concernant les trains de même que les séminaires et divers articles de journaux » a dit English relativement au thème du StampShow qui marque le cent cinquantième anniversaire du clou d’or de 17.6 carat qui fut planté lors de l’achèvement du premier chemin de fer transcontinental à travers les États-Unis. Ce clou officiel qui relie les chemins de fer Central Pacific et Union Pacific a été planté le 10 mai 1869 en Utah. L’an prochain, en 2020, l’APS étendra son partenariat avec la First Day Cover Society (AFDCS) qui tiendra son congrès annuel en association avec l’APS et l’ATA lors du StampShow. La SRPC prévoit aussi être présente au StampShow 2020 qui aura lieu à Hartford, Ct.
Ces projets nous amèneront vers « une éventuelle conclusion logique » au StampShow 2021 qui aura lieu à Chicago, une des plus grandes villes des États-Unis et à seulement 450 km de Windsor ON. « Ce sera notre première exposition nationale à saveur internationale et nous voulions y inclure le Canada car plusieurs de nos membres sont canadiens » a dit English qui a ajouté que l’APS a 1,300 membres canadiens. « C’est un groupe important et tout un engagement du Canada envers l’APS. Nous continuons à ouvrir la porte à toutes les sociétés affiliées et à tous les types de collections spécialisées pour que celles-ci aient accès à notre exposition; ceci reflète notre vision » dit-il, faisant référence au partenariat entre l’APS et la BNAPS, laquelle a récemment annoncé l’octroi d’une bourse de $1,000 à de jeunes philatélistes pour participer à l’annuel ‘Summer Seminar’. « En opération depuis trois décennies, le ‘Summer Seminar’ offre des cours sur divers aspects de la philatélie, un grand éventail de services à l’American Philatelic Center à Bellafonte et plusieurs activités où les membres se sont forgés de longues amitiés », a dit English. À mi-chemin entre New York 2016 et Boston 2026, StampShow 2021 permettra de remplir cette décade d’une façon ‘substantielle’ en l’absence d’expositions internationales en Amérique du Nord. En plus de l’APS, l’ATAet la AFDCS, plusieurs autres sociétés prévoient participer au StampShow 2021, entre autres la Cuban Philatelic Society of America. La SRPC a ‘exprimé son intérêt’ à participer au StampShow 2021 en fournissant 50 cadres d’exposition. English regarde aussi du côté des organisations philatéliques sud-américaines. « La philatélie sud-américaine – du moins, pour nous de l’hémisphère occidental – ne reçoit pas assez l’encouragement et l’attention qu’elle mérite » dit-il en ajoutant que des collectionneurs ont un grand intérêt pour des pays comme la Colombie, le Guatémala et le Honduras. Pour ce qui concerne les bénéfices à préparer cette nouvelle exposition internationale, English dit seulement : « La marée montante fait avancer tous les bateaux ». « Les gens parlent souvent de ‘telle’ ou ‘telle’ société philatélique, mais je pense que le mot ‘philatélique’ prête à confusion » dit English. L’exposition internationale prévue pour 2021 est « une bonne occasion de promouvoir la philatélie du monde entier », dit-il en ajoutant ‘toutes les sociétés philatéliques à travers le monde’ se plaignent de la diminution du nombre de leurs membres et de la baisse d’intérêt pour la philatélie. « Je ne suis pas d’accord avec cela mais le moyen de surmonter cette tendance est d’utiliser au mieux tous les outils dont nous disposons et, en nous regroupant, nous aurons plus de poids que si nous restions seuls. Bonjour à tous. J’espère que la saison des Fêtes a été agréable et que vous avez eu le temps de profiter de votre collection. En tant que président, mon but est d’encourager le plus grand nombre possible de collectionneurs provenant de divers groupes à profiter de tous les avantages que la SRPC offre à ses membres. Selon la planification du plan stratégique, la direction essaie par tous les moyens de vous faire profiter de ces bénéfices. La SRPC a besoin que ses membres et tous ceux qui veulent se joindre à nous, soient positifs et proactifs et nous apportent toute l’aide possible. La direction de la SRPC est constituée de 14 collectionneurs dévoués qui fournissent beaucoup de temps bénévolement, aux niveaux local, national et international, pour développer notre passe-temps au Canada. Plusieurs autres personnes donnent des conférences, préparent des collections, mettent sur pied des expositions, écrivent des articles et ont du plaisir à collectionner les timbres; tous aiment partager leurs connaissances et ne comptent pas leur temps. La SRPC et notre hobby profitent aussi de l’apport et du soutien des négociants qui participent aux expositions et qui nous fournissent de différentes façons tout le matériel nécessaire. Cependant, la plupart de collectionneurs ne font pas partie de la SRPC ni d’aucune autre association philatélique. Ceux d’entre nous qui sommes actifs au sein de clubs ou de tout autre organisation philatélique aimeraient bien amener plus de personnes à collectionner des timbres. La SRPC a aussi besoin que ces néophytes et les collectionneurs joignent ses rangs. Quand moi ou d’autres membres dévoués de la SRPC, y compris des membres de la direction, nous allons à des réunions de clubs ou encore à des expositions, nous entendons des remarques qui expliquent pourquoi ces gens ne sont pas membres de la SRPC. Je voudrais réfuter certaines idées fausses concernant la société et qui empêchent certains collectionneurs de se joindre à nous. La SRPC est une société à but non-lucratif. Son but est de faire ses frais annuellement et ses fonds limités sont gérés d’une façon responsable tout au cours de l’année. L’argent sert surtout à la production du Philatéliste canadien et la SRPC dépend aussi d’un octroi gouvernemental pour aider à faire ses frais. Si la société bénéficiait de dons, elles pourrait offrir plus de services à ses membres. La Royal/Royale est une exposition nationale qui suit des règles définies pour exposer. La Royale veut attirer tous les types d’exposants. Je demande que toute personne qui veut exposer et dont la collection répond aux critères définis dans le prospectus d’exposition s’enregistre. L’argent dépensé pour monter une collection ne garantit pas nécessairement une médaille de haut niveau. Plusieurs clubs locaux joignent la SRPC pour différentes raisons. La SRPC souhaite que plus de membres de sociétés locales deviennent aussi membres de la SRPC. Nous sommes déterminés à être présents et pertinents pour les membres des clubs locaux. J’aimerais savoir ce que les membres des clubs attendent de nous. Souvent les gens disent ne pas pouvoir voyager pour se rendre aux événements philatéliques ou encore pour jouer un rôle dans une organisation nationale telle que la SRPC. Bien que la RPSC ait son siège social à Toronto, presque tous les directeurs n’y habitent pas. L’actuel direction comprend des personnes des provinces suivantes : C.-B. (2), Alberta (2), Ontario (5), Québec (3), Nouveau-Brunswick (1). Un directeur est en France. Des 5 directeurs de l’Ontario, 1 seul demeure à Toronto. Notre éditeur et webmestre est au Manitoba. L’internet et la téléconférence réduisent la distance physique. Nous nous rencontrons à nos frais lors des expositions y compris à l’exposition Royal/Royale. Le Conseil d’administration est composé de 2 femmes et 12 hommes et la moyenne d’âge est plus jeune qu’elle n’a jamais été depuis longtemps. Ce ne sont pas tous les directeurs qui excèdent plus de 3 mandats de 2 ans. Il y a une rotation qui permet d’apporter de nouvelles idées. Depuis 2016, il y a plusieurs nouvelles figures, de plus, deux nouveaux membres s’ajouteront à la Direction lors de l’assemblée générale annuelle en juin. Nouveau programme de reconnaissance des bénévoles – Où sont vos nominations? Dans les infolettres précédentes de la SRPC, j’ai fait mention du Programme de reconnaissance des bénévoles. Le but est de reconnaître les membres qui ont fait une contribution significative à la philatélie soit au niveau de la SRPC soit à l’intérieur d’une société-membre ou affiliée à la SRPC. Jusqu’à présent nous n’avons eu aucune réponse de vous!!! S’il-vous-plaît faites-nous savoir qui vous désirez honorer. Il y a tellement de bénévoles qui méritent une reconnaissance. Le conseil souhaite que ces nominations proviennent des membres. La prochaine réunion du conseil doit avoir lieu le 7 avril 2019. Nous sommes aussi intéressé à reproduire des articles ayant déjà parus dans le bulletin des clubs locaux. S’il-vous-plaît, partagez vos connaissances avec avec vos collègues collectionneurs. Dans la dernière édition de l’infolettre, vous avez pu lire des articles décrivant les activités des clubs-membres. Je continue à demander à tous les clubs de nous faire parvenir l’horaire de leurs rencontres. Le Philatéliste canadien qui est publié aux deux mois, fournit la listes des réunions et des activités des clubs. Notre infolettre tend à fournir l’information d’une façon plus ponctuelle aux membres et aux collectionneurs qui voudraient participer à l’une ou l’autre de ces rencontres. Laissez la SRPC vous aider à augmenter votre membership. La SRPC souhaite qu’il y ait plus de collectionneurs qui participent aux activités des clubs-membres. Nous espérons que l’infolettre vous aidera dans ce domaine en fournissant la date des rencontres, le lieu et le nom des conférenciers. Même si un membre ou un collectionneur ne peut assister à ces réunions et qu’un sujet l’intéresse, un bénévole peut transmettre l’information. Envoyez-nous le bulletin de votre club! Nous sommes aussi intéressés à reproduire des articles parus dans votre journal. Nous aimons tous notre hobby et nous lui consacrons le plus de temps possible. Je demande à tous les collectionneurs de joindre un club local et la SRPC et d’aider de toutes façons possibles. Sans bénévoles votre Société ne peut survivre et ne peut continuer à promouvoir ce passe-temps. In these days of pen cancelled letters and the dwindling letter mail volume, postal authorities are less and less focused on what postal history collectors want to collect. Let me share with you the good fortunate I have receiving a Christmas card from a China philatelist. Figure 1 shows the originating marking on this $5 China airmail postal stationery envelope that was send from Tsingtao, Shandong, China on November 25, 2018, a month before Christmas. Figure 2 shows the back with a self-adhesive label “(postal) business temporary stopped”. The Christmas card arrived at my home on January 8, 2019. Of course there was no information on when this was put back into the system showing on the cover. Does anyone have more covers illustrating how other world-wide post-offices handled delayed mail of this postal strike that you want to share? Send your submissions to Sam Chiu at chiusam@hotmail.com. Sam Chiu is also Vice-President of The Royal Canadian Philatelic Society. The Royal Philatelic Society of Canada (RPSC) and American Philatelic Society (APS) have launched a partnership that’s set to begin at the 2019 Royal Convention this June. The RPSC’s 91st convention – to be held June 21-23 in Mississauga – is the first step in a plan slated to culminate with a quasi-international show in 2021, the midpoint between the World Stamp Show in New York three years ago and the one coming to Boston in 2026. “What we’re talking about with The RPSC is establishing what I consider to be a foothold in the worldwide community,” said APS Executive Director Scott English, who began in that role nearly four years ago, before the August 2015 StampShow in Grand Rapids, Mich. The partnership will “go beyond” the APS’ current ties with international organizations such as the Royal Philatelic Society London (RPSL), English added. Rather than “a mutually beneficial exchange of exhibiting” – something the APS already shares with Canada, which hosts a handful of WSP shows each year – the plan is to foster a “wholesale partnership to promote the hobby around the world and make as many doors as possible for people to get into the hobby,” he added. The partnership will kick off this June with the first of many co-promoted conventions. The APS will send Scott Tiffney, its director of information services, to this June’s Royal Convention, where he will man a table on the bourse and lead a seminar on the American Philatelic Research Library, which he also serves as library director. Tiffney also spoke at last year’s British North America Philatelic Society (BNAPS) Convention in Québec. In turn, The RPSC will also send representatives to major U.S. shows beginning this fall. From The RPSC’s perspective, the partnership with the APS ties into the former society’s reinvented strategic initiative, which was unveiled at the 2018 Royal Convention in St. Catharines, Ont. Canada is a “natural fit” for the APS’ plans, Kroft added, because of the two countries’ close ties both culturally and geographically. Kroft is also the immediate past president of the Society of Israel Philatelists (SIP) and previously worked with English and the APS while at the helm of the SIP, which was the first society to use the APS headquarters in Bellefonte, Pa., as its office. These national and international partnerships, he added, are vital for the hobby going forward. “Philatelic organizations need to co-operate with one another in order to keep the hobby strong and attract new members,” he said, adding The RPSC’s top demographics include baby boomers, who are retiring, and the preceding cohort, Generation X. One of nearly 100 members of the Fédération Internationale de Philatélie (FIP), The RPSC also maintains close ties with many Canadian philatelic organizations, including the Toronto-based Vincent Graves Greene Philatelic Research Foundation. “The RPSC is fortunate to have the benefit of working with the Greene Foundation. It’s like Bellefonte – it’s really the Canadian equivalent – and we’re grateful for that relationship,” said Kroft. None of these plans will come at the expense of The RPSC’s Canadian members, he added. A majority of today’s stamp collectors acquire material online and forgo all aspects of “Organized Philately,” including joining a club, Kroft said. These are the people The RPSC’s new initiatives are hoping to attract. “We’re trying to promote the hobby to different people, not only each other’s members but also to a broader base of the unaffiliated community,” Kroft said, adding The RPSC’s current board of directors reflects that aim. Following the APS’ attendance at the Royal this June, The RPSC will send representatives and exhibits to the APS StampShow on Aug. 1-4 in Omaha – Nebraska’s largest city. About 1,100 kilometres west of the Canada-U.S. border at Windsor, Ont. – and even closer to Thunder Bay and Winnipeg – this 133rd annual APS convention will boast more than 110 dealers, nearly 15,000 exhibit pages, a public auction, first-day ceremonies and participation from about 50 philatelic societies. At last year’s StampShow in Columbus, the American Topical Association (ATA) played the role of co-host, something it’ll return to this year. “This plays nicely into the 150th anniversary of the ‘golden spike,’ and we’ll have train-related topical exhibiting and intellectual firepower in the form of seminars and journal articles,” said English, of this year’s StampShow theme, which marks the sesquicentennial of the 17.6-karat gold final spike being driven to complete the first trans-continental railroad across the U.S. The ceremonial spike, which connected the Central Pacific and Union Pacific railroads, was driven on May 10, 1869, in Utah. The following year, in 2020, the APS will further expand its partnership model by including the American First Day Cover Society (AFDCS), which – along with the APS and ATA – will hold its national convention in conjunction with that year’s StampShow. The RPSC is also slated to attend StampShow 2020, which will be held in Hartford, Ct. These plans will “build to an eventual logical conclusion” at StampShow 2021, which will be held in Chicago, one of the largest cities in the U.S. and only 450 kilometres from Windsor, Ont. “It’ll be our first national show with an international twist, and we wanted to include Canada because we have a wealth of members from there,” said English, who added the APS has nearly 1,300 Canadian members. “That’s a sizeable population and a lot of commitment from Canada for the APS. We continue to open the road for every different affiliate and collecting specialty to have an outlet at our show, and this is reflective of that,” he said, also referencing the APS’ partnership with BNAPS, which recently announced a $1,000 scholarship for young philatelists to attend the annual Summer Seminar. Running for more than three decades, Summer Seminar offers courses on different aspects of philately; a wide range of services at the American Philatelic Center in Bellefonte; and and social events “at which many members have forged lifelong friendships,” English said. As the midpoint between New York 2016 and Boston 2026, StampShow 2021 will halve the “substantial” decade-long gap in international shows in North America. In addition to the APS, ATA and AFDCS, other societies slated to participate in StampShow 2021 include the Cuban Philatelic Society of America. “Given the history of the two countries, it’s important to create a platform for Cuban exhibitors to enter the U.S.,” said English, who added there’s a “very active group” of worldwide philatelists, including himself, who specialize in Cuba. The RPSL has also “expressed interest” in StampShow 2021, to which it will commit 50 exhibit frames. English is also eyeing participation from philatelic organizations in South American countries. “People often talk about the branding challenges of being ‘this’ or ‘that’ philatelic society, but my feeling is ‘philatelic’ is the least confusing word,” said English. The international show planned for 2021 is a “good opportunity to promote worldwide philately,” he said, adding “every philatelic organization in the world” expresses concern over dwindling membership numbers and a seemingly downward trend in philately’s interest. Jesse Robitaille is a multi-media reporter with Canadian Coin News and a volunteer member on this year’s Royal*2019*Royale organizing committee. Canadian exhibitor Jane Sodero, a former Halifax resident currently living in Alabama, took home a handful of hardware this February at the Southeastern Stamp Expo in Atlanta, Ga. Her exhibit was one of seven entries focusing on Canadian material at the Jan. 31-Feb. 2 exhibition, which was organized by the Southeast Federation of Stamp Clubs (SEFSC) and featured more than 140 competitive frames. There were “so many” Canadian exhibits, said Sam Chiu, vice-president of The Royal Philatelic Society of Canada (RPSC), that the British North America Philatelic Society (BNAPS) handed out five special awards. An internationally accredited judge, Chiu was also one of six members of the jury, which was chaired by Jay Stotts, of Texas. Sodero’s two-frame exhibit, “The Eskimo Hunter,” received a vermeil medal as well as two special awards. For this entry, she also took home one of two American Association of Philatelic Exhibitors Gold Awards of Honor and the BNAPS Elizabethan Study Group Award. One of Sodero’s two single-frame entries, “Milford House – A Rustic Resort for Over a Century,” earned a large vermeil medal and two BNAPS special awards – the Best One-Frame British North America (BNA) Exhibit Award and the Best BNA Exhibit Award. Her other single-frame entry, “The Postal Markings of Guysborough, Nova Scotia, 1838-1937,” earned a vermeil medal. Sodero, of Dothan, Alabama, is a national-level judge with The RPSC. A collector since she was a child, Sodero is following in the footsteps of her mother, Elizabeth, who’s also a respected exhibitor specializing in Canadian postal history. Other Canadian exhibits at the 2019 Southeastern Stamp Expo include John Burnett, whose four-frame exhibit “Canada – Usages of the Stamps of 1937-1942 Domestically and to the USA,” earned a large vermeil medal. Burnett, who calls Vancouver home but is currently living in Madison, Alabama, also took home BNAPS’ Best Two-To-Four-Frame BNA Exhibit Award and the Best Researched BNA Exhibit Award. A collector since 1945, Burnett specializes in the stamps and postal history of Canada and British North America. He has written more than 30 articles for BNA Topics, the quarterly journal of BNAPS; Maple Leaves, the quarterly journal of the Canadian Philatelic Society of Great Britain; and the PHSC Journal, the quarterly journal of the Postal History Society of Canada. In 2011, Burnett was elected to the BNAPS fellowship, the Order of the Beaver. Last year, he accepted the Rowland Hill Award – an annual lifetime achievement award first presented in 2005 for outstanding contributions to stamp collecting in the southeastern U.S. – from the SEFSC. Hello everyone. I hope that you enjoyed the holiday season and that you have had to time to enjoy your stamp collection! My goal, as President, is to encourage a large and diverse group of collectors to enjoy the membership benefits that the RPSC currently has to offer and wants to make available. As part of the RPSC strategic planning exercise, our Board is studying ways to make this happen. The RPSC needs positive and proactive assistance from its members and from those who are willing to join us. The RPSC Board consists of 14 dedicated collectors who donate a lot of time, without monetary reward, at the local, national, and international levels to grow our hobby in Canada. We are assisted by many others who make presentations, put on stamp shows, exhibit, write articles, enjoy collecting stamps and who are generous with their time and knowledge. The RPSC and our hobby also benefit from the patronage and support from stamp dealers who attend shows and make materials available through different media. Yet, most collectors are not members of the RPSC or any philatelic organizations. Those of us who are active in stamp clubs and other philatelic organizations want to attract new collectors to the hobby . The RPSC also needs these newbies and many existing collectors to join its membership ranks. When I or other dedicated RPSC members, including board members, are at stamp clubs or shows we hear why people are not members of the RPSC. I want to dispel some misconceptions about the RPSC which might be causing collectors to refrain from joining the RPSC. The RPSC is a non-profit organization. Its goal is to break even annually and its limited funds are managed responsibly during the year . The RPSC mainly spends funds on the production of the Canadian Philatelist and benefits from a government grant to help break even. The RPSC could benefit from donations to fund additional services for its members. The Royal/Royale is a national show which is governed by various exhibiting rules. The Royal wants to attract a diverse group of exhibitors. I ask that anyone wanting to exhibit to come forward if his/her exhibit meets the criteria set out in the exhibiting prospectus. The amount of money that one spends on a collection does not guarantee an exhibitor a high medal. Many local chapters join the RPSC for a variety of reasons. The RPSC is seeking to have more local chapter members join the RPSC as well. The RPSC is determined to be present and relevant for local chapter members. I want to hear what the local chapter members need from the RPSC. People sometimes say that they cannot travel to philatelic events and cannot play a role in a national organization such as the RPSC. Although the RPSC is headquartered in Toronto, almost all of its current directors are not . The current Board is made of people from these provinces: BC (2), Alberta (2), Ontario (5), Quebec (3), New Brunswick (1). One director is in France. Only 1 director of the 5 in Ontario is from Toronto. Our editor and webmaster is from Manitoba. The internet and teleconferencing bridge the physical distance. We see each other, at our own costs, at stamp shows including the Royal/Royale convention. The Board is composed of 2 women and 12 men and the average age of the Board is younger than it has been for quite some time. Not all board members stand for election for 3 two year terms. There is turnover which gives rise to new ideas. Since 2016, there have been many new faces on the board with 2 more new members to follow in June at the annual general meeting. New Volunteer Recognition Programme — Where are your nominations? In each edition of the RPSC newsletter , I mention the Volunteer Recognition Program. It is intended to recognize those individuals who have made a significant contribution to philately as a member of the RPSC or a member of an RPSC Chapter or Affiliate. To date, we have not heard from you our members and our affiliates!!! Please let us know whom you wish to see acknowledged. There are many deserving candidates. Our board does not want to make the choices. Our last meeting of the Board was on February 3, 2019 by teleconference . The Board and other dedicated volunteers discussed a variety of topics, including various aspects of the strategic plan. Once approved, minutes of Board meetings are posted on the RPSC website. http://www.rpsc.org. The next Board meeting is scheduled for April 7, 2019. 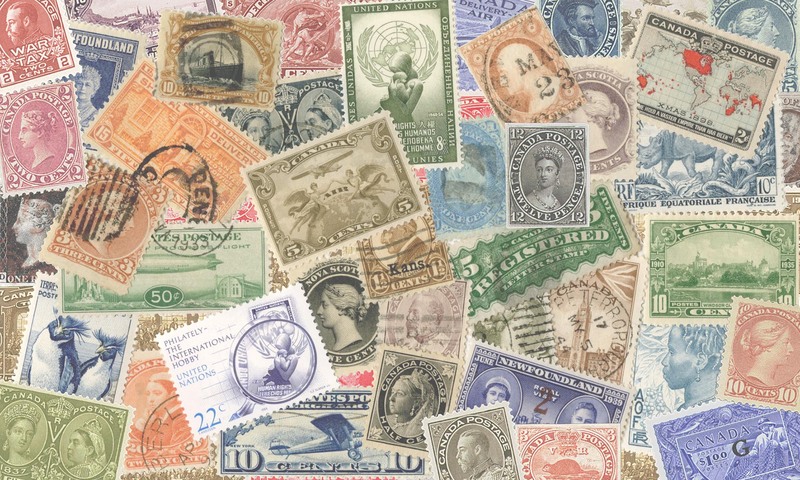 If you wish to write a piece on stamp collecting for the RPSC Newsletter, please contact me at the email address below or Mike Walsh – mwalsh@vaxxine.com. We are also interested in printing articles that have already appeared in the newsletters of local clubs. Please share your knowledge with your fellow collectors. We are always looking to attract new members to the RPSC and new collectors to the hobby. If you wish to write a piece on stamp collecting for the RPSC Newsletter, please contact me at the email address below or Mike Walsh –mwalsh@vaxxine.com. In the last edition of the newsletter, you saw articles from local chapters/ clubs discussing their activities. I will continue to urge all local chapters to let the RPSC newsletter help advertise club meetings . The Canadian Philatelist contains listings of chapters every two months. Our newsletter is trying to get more timely information out to our members and to collectors who may be interested in participating in chapter activities. Let the RPSC help you grow your chapters . The RPSC is interested in seeing more collectors attend RPSC chapter meetings. We hope that the newsletter will assist in this regard and will contain details of upcoming chapter meetings, including the names of speakers and locations. Even if members or other collectors cannot attend meetings, they may learn of interesting topics and be able to source presentations from those who volunteered to share information. Please send us details of upcoming meetings, locations, speakers and topics. Send us your chapter newsletters!! We are also interested in printing articles that have already appeared in the newsletters of local clubs. This excellent show usually has about 100 frames of exhibits and a number of dealers. The show welcomes collectors and exhibitors. The show will be held on Saturday and Sunday, March 23-24, 2019 at its usual venue, Central Lions Rec Centre, 11113 – 113 St NW, Edmonton, Alberta. Information on the show can be found at http://www.edmontonstampclub.com. We all love our hobby and dedicate as much time as we can to it in many ways. I am asking you those of you who are unaffiliated with a local club to join a club and the RPSC and to help in any way you can. Without volunteers your Society cannot survive. That will not help to perpetuate the hobby.